These are the complete set of directions for construction. 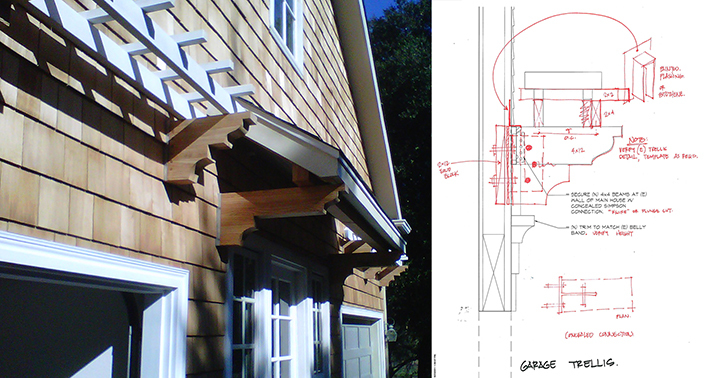 They are a vital piece of the process of submitting to the Building Department for permit. We tailor a set of plans to meet the needs of each project, whether a minimal permit approval set or a highly detailed and descriptive set. Clean, clear, complete and accurate construction documents expedite approvals, bidding and construction. Construction Documents are the basis for construction contracts. 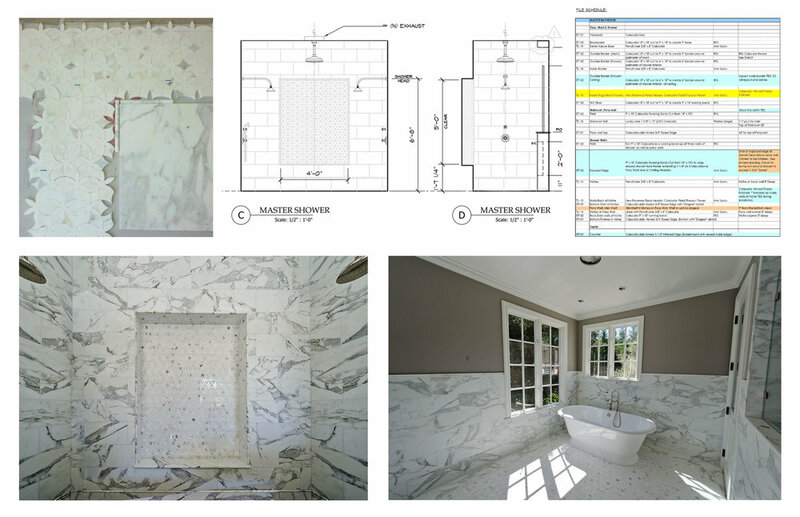 For this bathroom remodel, we designed the tile details and provided precise illustrations for the installers to follow. 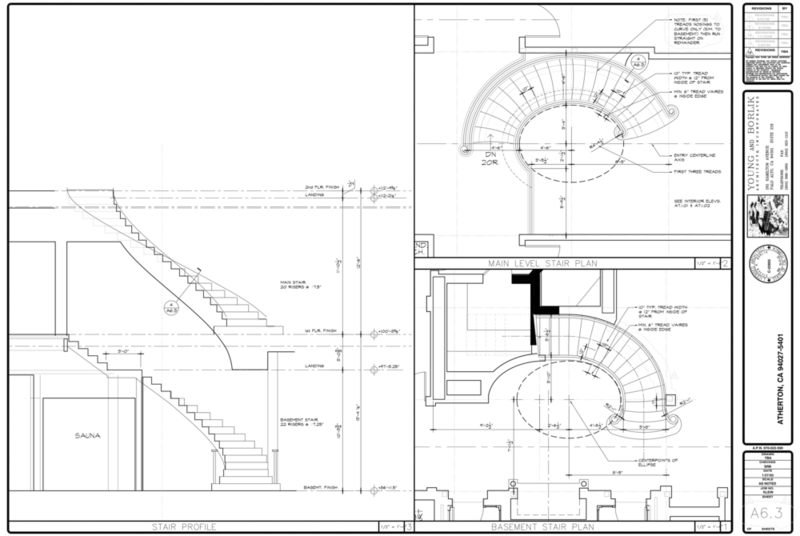 This beautiful curving staircase was designed by Young and Borlik for a French country style estate in Atherton.